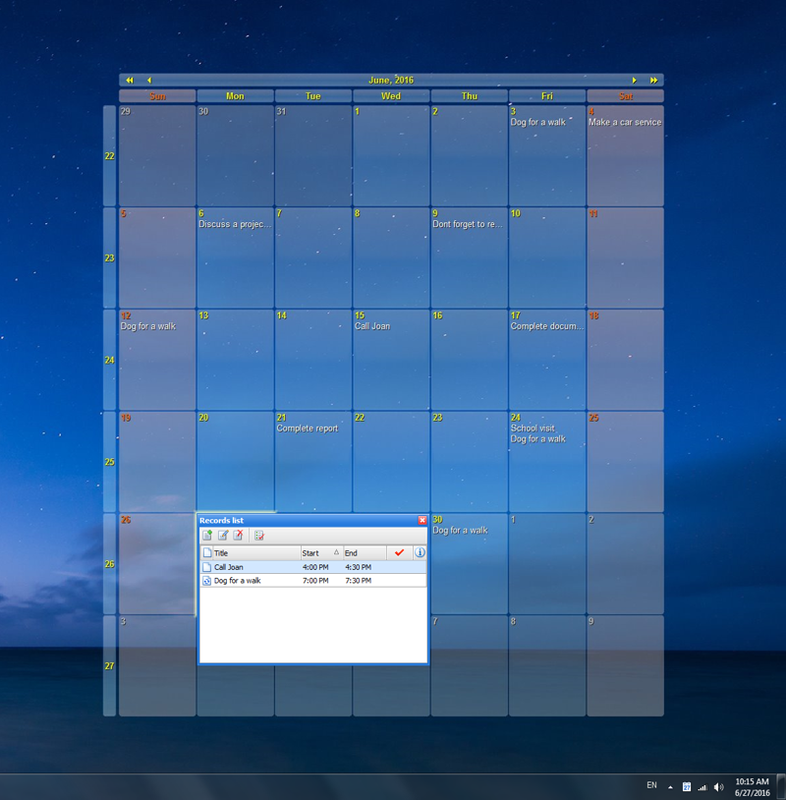 Interactive Calendar draws calendar directly on desktop wallpaper. This calendar has impressive customization capabilities. You can change it's size and position, color, transparency, font, shadows, cell spacing and a lot more. Moreover the calendar on the desktop is fully interactive and extremely intuitive double-clicking any of its cells will bring up a new task creation window or a task management window if there are any tasks already scheduled on that day. In the upper left and right corners of the calendar you can find arrows to scroll month and year. Just click any arrow and month or year will be changed. 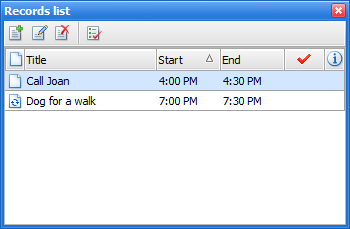 Also you can change calendar date using the system tray menu. Here you can add a new entry and edit, delete or mark as completed existing entries. When appointment description is available, you can view it by pressing the following button: near the entry title).